Just wanted to chime in here with an observation: I've been arguing with numerous people lately about something I think is the crux of your complaint with Robocop 2014 - that a creative work that raises a question, but neither attempts to answer it nor explore it, is not the same as being intellectual, philosophic, or delivering commentary. So far I seem to be in a definite minority in believe this to be so. Most people seem to accept that a film or book or show that showcases an THING, a situation or a conundrum, is enough to grant it thought-provoking status. I think I recall that you are a fan of Inception but for me both the Matrix and Inception are prime examples of films that are extremely entertaining but they are not actually intellectual because they do not explore their own questions. They posit questions about identity and reality that have been posited before by original philosophers and intellectuals, but they do not explore these issues, or attempt to answer them in unique or personal ways, which are critical acts of any person who would be granted intellectual or philosopher status. Yet for some reason I've been told this is "over-intellectualizing what intellectual is" by trying to set the same bar for creative works. People, and honestly creators especially, seem to believe that simply showing something, simply putting it in there, is enough. That THAT is somehow commentary. But it isn't. And that is why you can get scene and scene of...thoughts, ideas, obvious "commentary"...without anything actually getting commented upon. I agree with your concept, but not with its application to The Matrix or Inception. 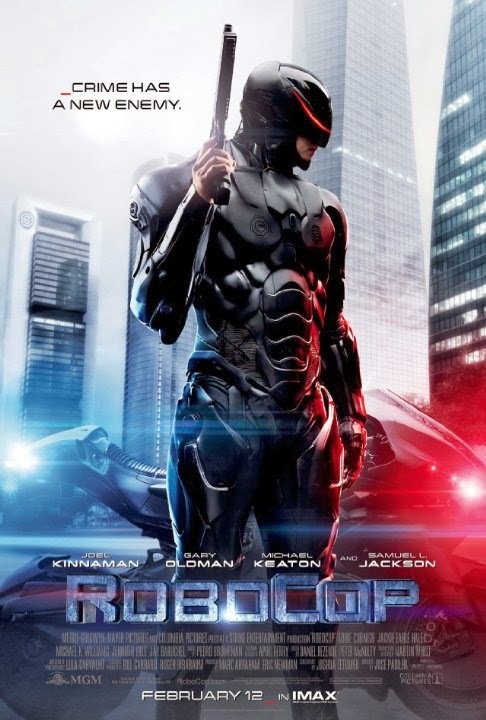 With Robocop, it basically discards its big questions in the end to fulfill the narrative it probably should have held onto from the start (i.e., the one in the original). So you're right to suggest that it is a film that pretends to be intellectual, but basically fails because it never fulfills its initial promises. Matrix and Inception are different. They are not "high" intellectual in form, but they certainly are consistent in their pursuit of a set number of intellectual concerns. I don't think there's anything wrong with that. I will agree that Inception is probably not commentary in a social sense (Matrix too). That would be reserved for something like Moon or District 9 or Elysium, which directly confront the questions they raise and make an argument. The questions Inception raises (or Matrix) are more general in form.